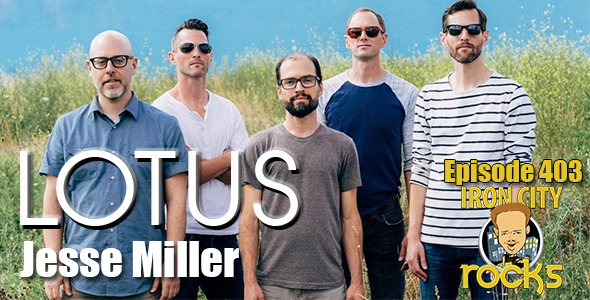 In Episode 403 of the Iron City Rocks Podcast we welcome Lotus‘ bassist Jesse Miller. Jesse talks to us about the band’s latest album Frames Per Second and how the songs took shape, how they put together their setlist, the band’s place in the jamband world, and much more. We are also joined by Zach Wood of the band Like A Storm. Like A Storm is touring in support of their third studio album, Catacombs. Zach talks with us about the more aggressive sound of the album, how they formulate their set-list, his drumming, being the only non-brother in the band, and much more.